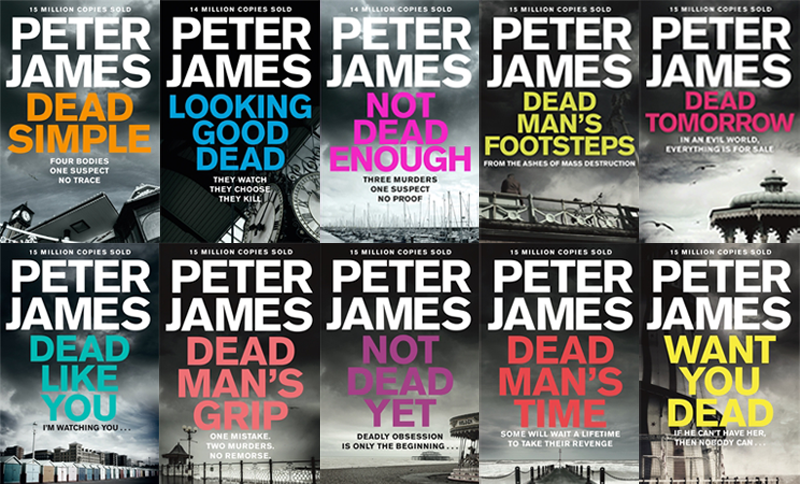 All the books in Peter James's Brighton-set DSI Roy Grace series in order of publication. The Brighton-set DSI Roy Grace books, Peter James's bestselling series of crime fiction novels set in Brighton and starring Detective Superintendent Roy Grace, have been translated into thirty-seven languages with worldwide sales of over eighteen million copies. Here are all the books in the series in order of publication. With only three days to the wedding, Detective Superintendent Roy Grace - a man haunted by the shadow of his own missing wife - is contacted by Michael’s beautiful, distraught fiancée, Ashley Harper. Grace discovers that the one man who ought to know Michael Harrison’s whereabouts is saying nothing. But then he has a lot more to gain than anyone realizes, For one man’s disaster is another man’s fortune . . .
Amid the tragic unfolding mayhem of the morning of 9/11, failed Brighton businessman and ne’er-do-well Ronnie Wilson sees the chance of a lifeline: to shed his debts, disappear and reinvent himself in another country. Six years later the discovery of the skeletal remains of a woman’s body in a storm drain in Brighton leads Detective Superintendent Roy Grace on an enquiry spanning the globe, and into a desperate race against time to save the life of a woman being hunted down like an animal in the streets and alleys of Brighton. As Detective Superintendent Roy Grace investigates the recovered bodies, he unearths the trail of a gang of child traffickers operating from Eastern Europe. Soon Grace and his team will find themselves in a race against time to save the life of a young street kid, while a desperate mother will stop at nothing to save her daughter’s life . . .
Detective Superintendent Roy Grace soon realizes that these new cases bear remarkable similarities to an unsolved series of crimes in the city back in 1997. The perpetrator had been dubbed ‘Shoe Man’ and was believed to have raped five women before murdering his sixth victim and vanishing. Could this be a copycat, or has Shoe Man resurfaced? For the City of Brighton and Hove, the publicity value of a major Hollywood movie being filmed on location, about the city’s greatest love story - between King George IV and Maria Fitzherbert - is incalculable. A vicious robbery at a secluded Brighton mansion leaves its elderly occupant dying. Millions of pounds’ worth of valuables have been stolen. Within a year, and under police protection, she evicts him from her flat and her life. But Red’s nightmare is only just beginning. For Bryce is obsessed with her, and he intends to destroy everything and everyone she has ever known and loved - and then her too . . .
At first, to Detective Superintendent Roy Grace and his team, these two events seem totally unconnected. But then another young woman in Brighton goes missing - and yet another body from the past surfaces . . .
An ugly duckling as a child, Jodie Bentley had two dreams in life – to be beautiful and rich. She’s achieved the first, with a little help from a plastic surgeon, and now she’s working hard on the second. Her philosophy on money is simple: you can either earn it or marry it. Marrying is easy, it’s getting rid of the husband afterwards that’s harder, that takes real skill. But hey, practice makes perfect . . .
Roy Grace believes a Black Widow is operating in his city. One with a venomous mind . . . and venomous skills. Soon Grace comes to the frightening realization that he may have underestimated just how dangerous this lady is. Kipp Brown, successful businessman and compulsive gambler, is having the worst run of luck of his life. He’s beginning to lose big style. He takes his teenage son, Mungo, to their club’s big Saturday afternoon football match but within minutes of arriving at the game, Kipp bumps into a client. He takes his eye of Mungo for a few moments, and in that time, the boy is gone. Then he gets the terrifying message that someone has his child, and to get him back alive, Kipp will have to pay. Defying instruction not to contact the police, Kipp reluctantly does just that, and Detective Superintendent Roy Grace is brought into investigate. Peter James' Roy Grace series is also available in audiobook. Listen to the audio playlist now.